haha it looks like someone whitened their teeth after the photo was taken..or tried to! It&rsquo;s pooky. He&rsquo;s going through a photo bomb phase. Yes in between the couple? Now for the story please!! 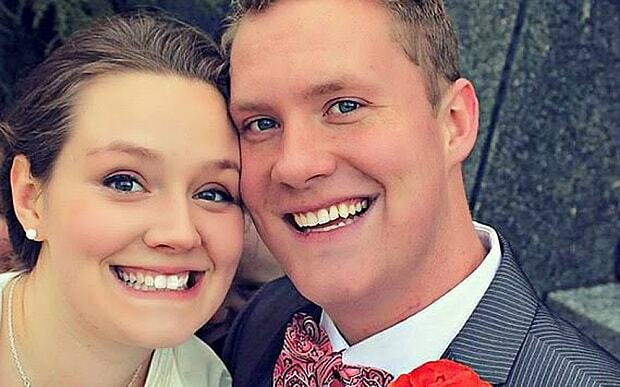 A newly married couple have spoken of their horror after discovering a ghostly photobomber in one of their wedding photographs. Kevin and Christina Denis, from Richmond, Virginia, said they were disturbed to find an unidentified face staring up at them in a picture taken on their wedding day. The pair said they only noticed the spectre after one of their pals pointed it out on Facebook. Kevin then posted the image to Reddit in order to get a second opinion on the chilling picture with the message: Me and my wife's favourite wedding photo... Until we saw what was between us... We still don't know who it was." 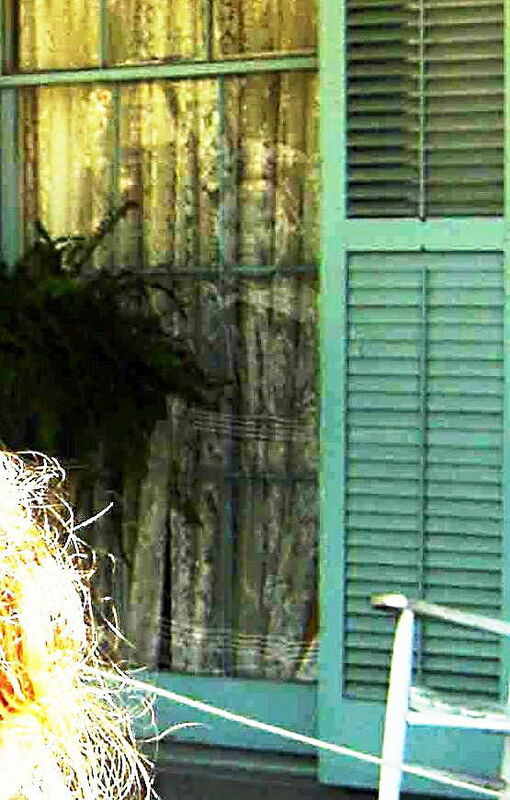 Ghost app photo of little girl, left of the chair in the curtains. No, they are different photos Vlawde. But you are right about where the ghost is Kevin. 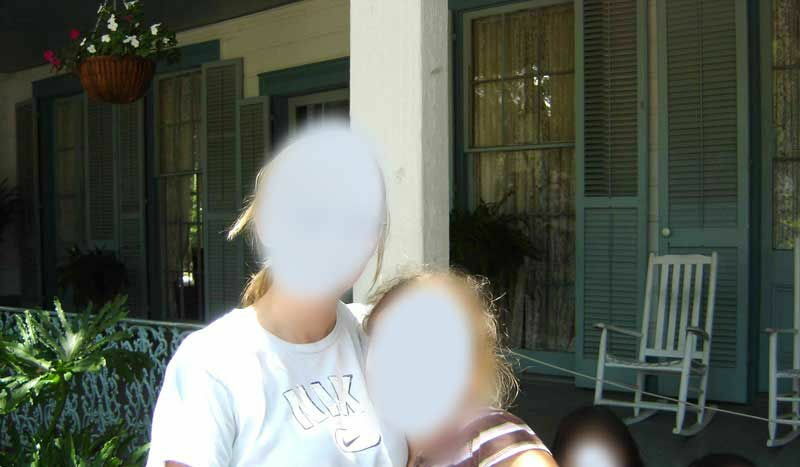 The photo was taken of a teacher and some of her students on the courtyard of The Myrtles Plantation with a Sony Cybershot DSC-P93A camera. Without going into the technical explanation that included megapixel capability, file size, GIF file compression system, shutter speed, aperture setting, ISO speed setting and focal length of the lens, let me confirm that nothing at all unusual was discovered or reported about the photograph or the manner in which it was developed. The photograph continues to travel the world being thoroughly researched but still without explanation of the 'Ghost Girl'. Yes, I was going to say that is the plantation house where the children were poisoned by the maid. I have often wondered about this photo. Kevin was talking about the 2nd picture at the plantation Telling us where he thought the ghost was and what he thought made it. reminds me of Linda Blair from The Exorcist. Edited by The_Dead_Shall_Rise_Again, 11 May 2018 - 08:14 PM. The spooky apparition was caught on camera by pals Victoria Greeves, 22, and Kayley Atkinson. 23, as they enjoyed a girl's night out in Newcastle-upon-Tyne on Sunday evening. But after striking their best pose together the girls noticed there was a third person in the photo - which appears to be an elderly lady dressed in Victorian clothing. Horrified by the chilling figure, nurse Victoria deleted the spine-tingling photo from her phone. She said: "We took the picture in the bar as we usually would, we are both fans of a selfie. "I uploaded the picture to Snapchat and thought nothing more of it but later that night Kayley rang me in a panic and told me to have a closer look. "She said there was a figure in the background, and I am quite sceptical about things like that so I just laughed at the time. "But when I looked back at the picture I could not believe what I was seeing. It is terrifying." 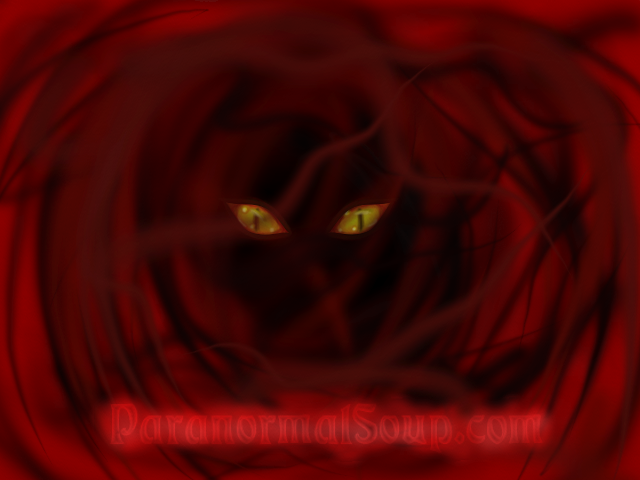 "I couldn't look at the picture at the beginning as I was too freaked out. "It is so clear, and it looks like what can only be described as a Victorian woman, laughing behind us." The girls, who have known each other for the past six years, are regulars at the popular riverside bar - but said they would think twice before going back in the future. Local authority worker Kayley said: "The bar was dead when we went in. It was only when I got home later on that I noticed the photo. I couldn't believe it. "I was absolutely terrified and Victoria was so scared that she deleted the photo off her phone. "A lot of people have said we must have photoshopped the picture, and I can't blame them, but neither of us would even know how to do that. "I didn't believe in ghosts at all before, but I'm not so sure anymore." A member of staff at the bar said no-one who worked there had ever seen a ghost but Newcastle's city centre is alleged to be rife with grisly ghouls.